After our satisfying lunch at Ketupat Restaurant in Legian Street, my friend brought me to Jenggala Keramik located at Jimbaran. Keramik is an Indonesian word for ceramic. 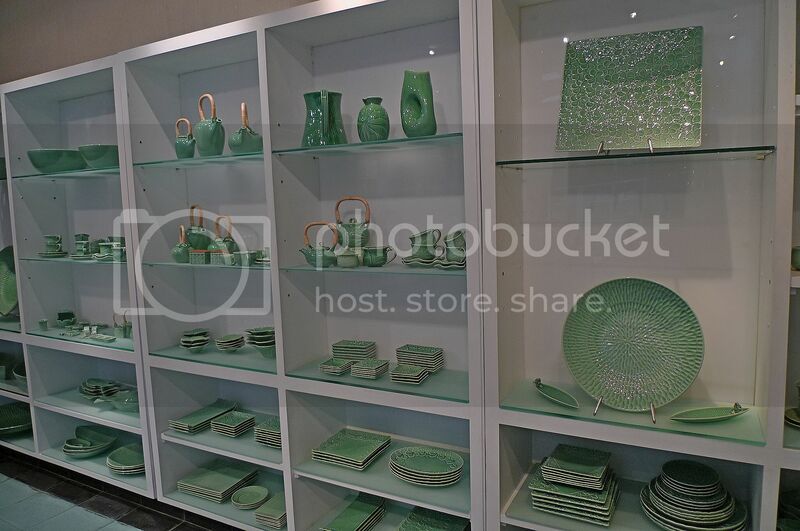 Yes, this shop sells high quality hand-crafted ceramic and glassware! So if you want to shop here, don't forget to bring along your credit card or cards!! 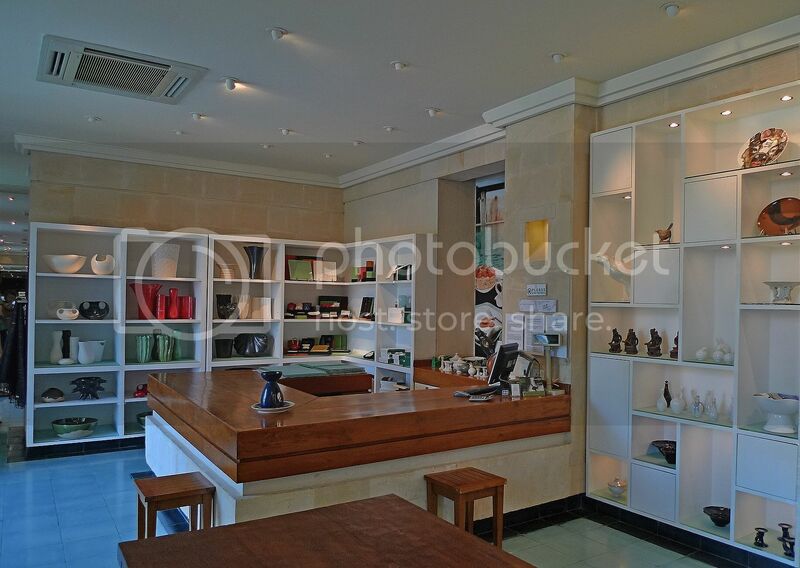 The interior of the shop looks really nice and classy, not to mention expensive! Although I brought along my credit card, I did not buy anything here! Not that they were not nice, I just simply could not afford it! OK, I guess I could buy some home, but I rather spend my money on food and other stuffs! Haha! But if you are like my friend, who love all these hand-crafted ceramics, be warned! You will definitely end up buying something here! He bought these. Do you know what they are for? They came in four different colours, the other two being black and red. He was tempted to buy all four. Haha! 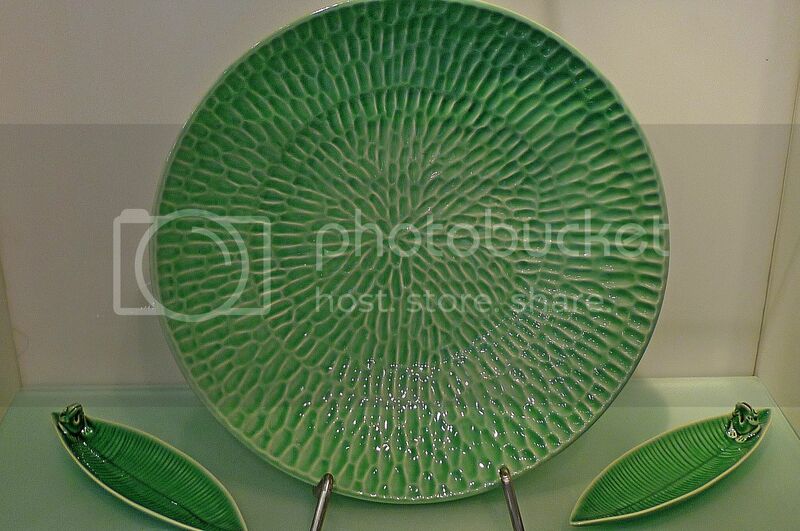 Look at these bowls and plates! Aren't they beautiful? How about these candle burners? 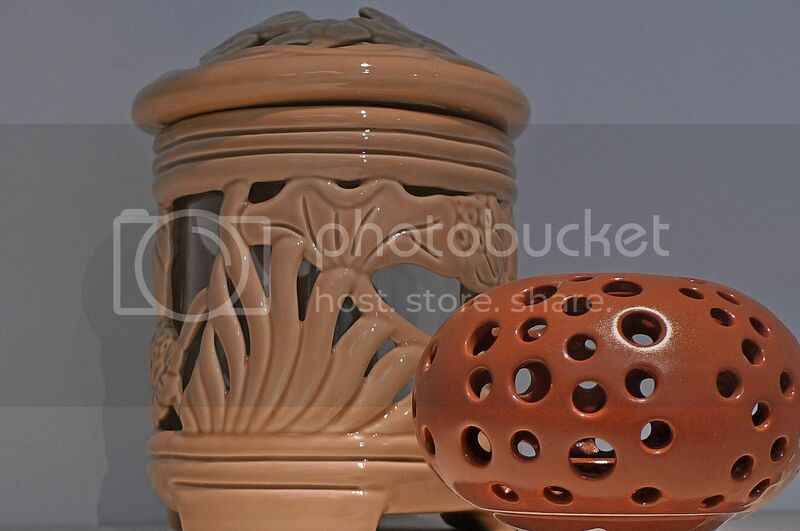 They also sell beautifully made candles of all shapes and styles! I wonder what these are for! Are they cigarette ashtrays? Want to know what were inside these tall containers? And guess what? 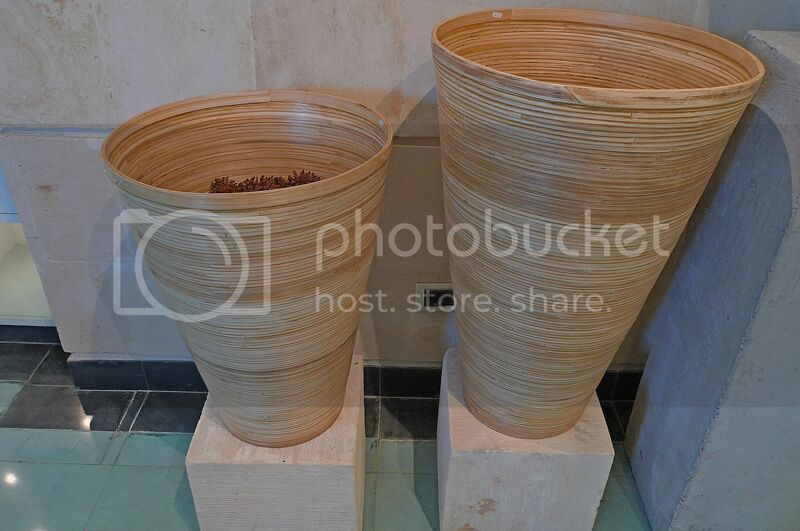 All the products you buy will be packed inside ceramic bags for you to carry home! Haha! Of course I am kidding! The above are actually small little ceramic "bags" that fit into your palm and they are for sale at the payment counter. And look! 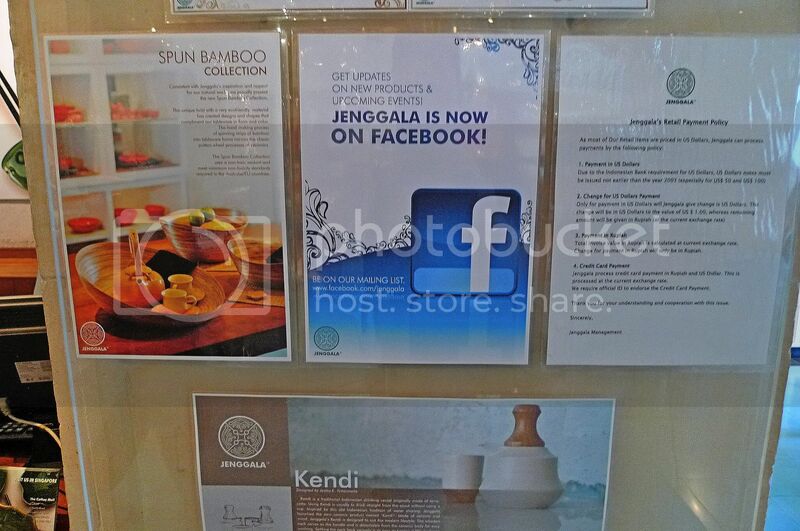 Jenggala is on Facebook! For more information, you can visit the Jenggala website. I think I regretted not buying anything there! But never mind, there is always another trip to Bali! It's not that far! Haha! monica, hi! You beat Mariuca again! Haha! ahh so beautiful! esp those bowls and plates..
fufu, yes Malaysia is behind these two countries! 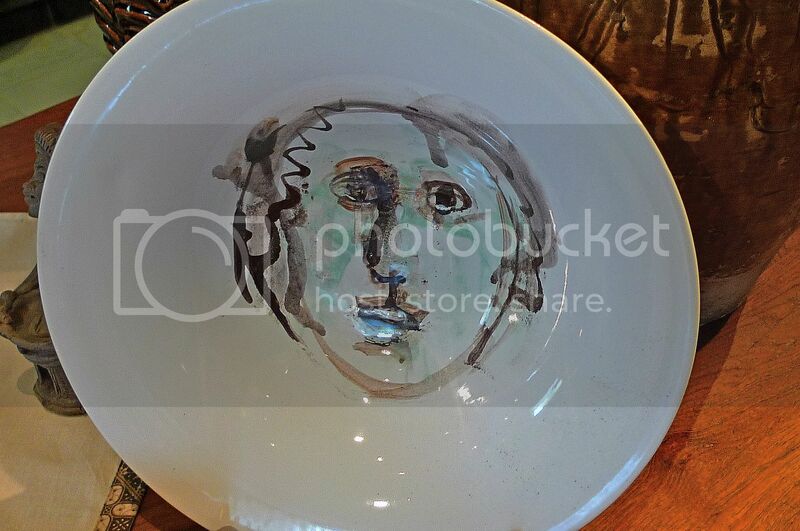 The bowls and plates very nice!!!!! hahaha! the one with two frogs holding one very cute n unique lar! lol if everything is packed with the ceramic bags, sure quite heavy lor! but, it looks very nice. Never been to Bali yet! Waiting to see more pics here, see can entice me to book a trip later or not..
will definitely book a flight there once i have enough fund pfft! Security check! Did they ask you to strip? awww. im green in envy. i wanna go there. hmmm, i don't like to buy a lot of souvenirs when i go trips.. unless i really have to and i really like that piece of thing..
but just wonder whey ever would you go to that ceramic shop?? you friend is a fan of ceramics?? yeah, having seen the design of the shop, guess it's only for tourist - and yes, only from tourist that they can mark up the price and earn a good fortune from things they sell..
i don't mind go in a have a quick browse, but certainly i will not buy anything..
i mean, you need to think about how practical the things are albeit they might look very nice and artistic.. and not to mention, the more headache problem, how to bring back home?? i like to travel light, so big piece of souvenirs are never in my list.. that's why, normally jsut get some keychains for colleagues.. hahahaha!! 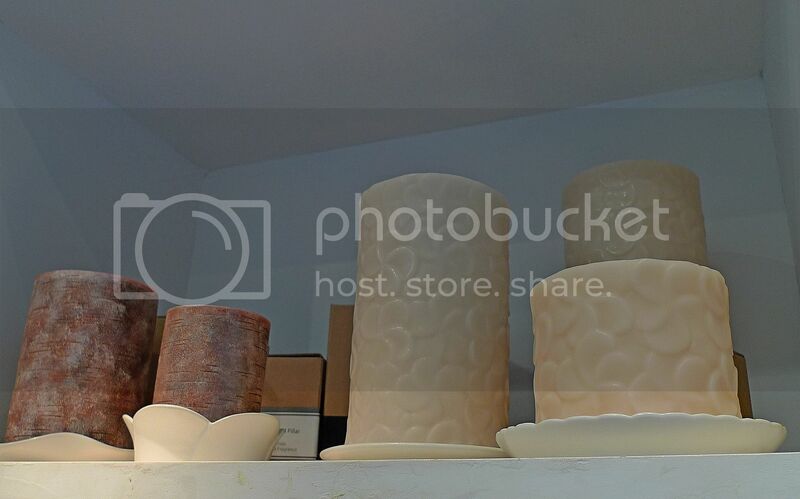 I collect scented candles and I think the candles in your pictures are good collectibles. 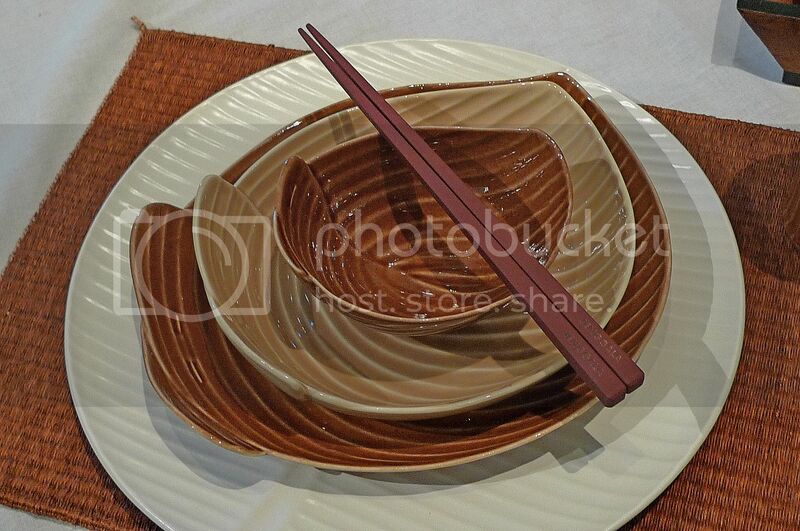 The dishes look similar to the ones sold at a local Asian housewares in my city. 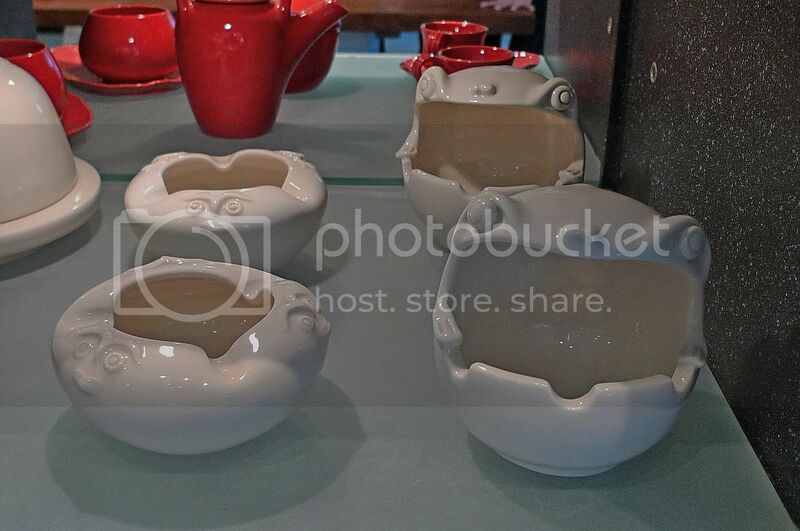 They sell specialized dishwares from Japan, and other Asian countries. My hands always shake when i hold ceramic items. Very scare of the touch and afraid tat it might drop. Very classy display. No wonder classy prices too. 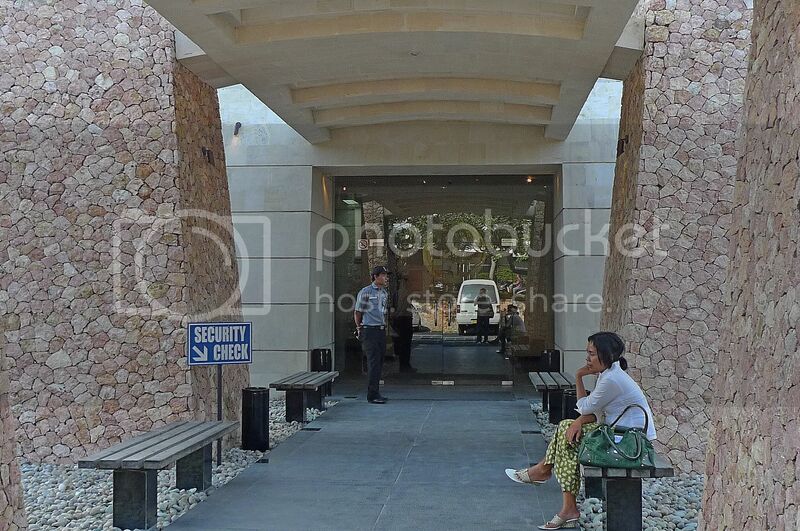 Yes, Bali does have lots of artsy stuff. An ex-colleague brought back a very nice multi-colored glass table top. Foong, you've got to check out this venture of making thousands doing nothing at all, er.. almost nothing..
caroline ng, haha, I was so busy this week didn't have time to update my blog until now. To buy stuffs from Jenggala you need to be a rupiah trillionaire!! Millionaire cannot afford also! LOL! SK, I also don't buy a lot of things during travels, but for this Bali trip, many things caught my fancy! Haha! 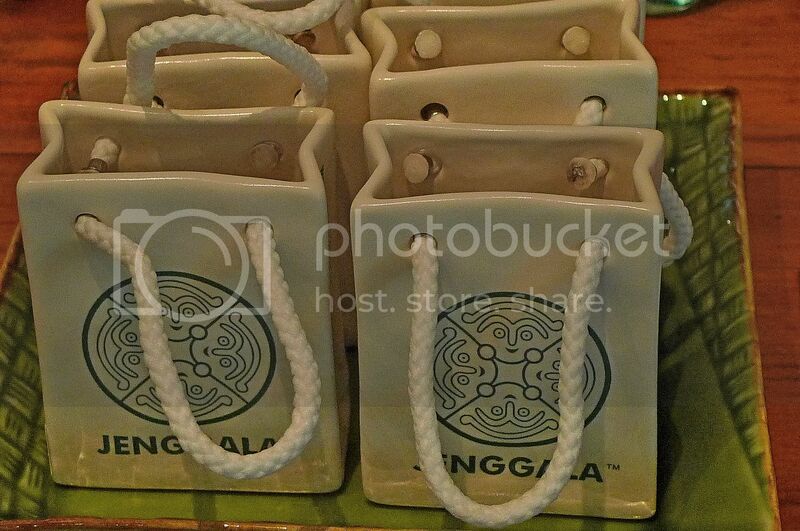 Yes, my friend is a fan of ceramics and Balinese sculpture and art, so he made me go to Jenggala! Haha. Well, it may not be practical but for my friend, he collects these stuffs and he has a lot of them displayed in his house! kenwooi, haha! But I didn't see such warning notice being displayed there! So I think even if you break them, they are not considered sold! Hahaha! manglish, haha but no money to buy! happysurfer, multi coloured glass table top? Sounds good! Bali is a paradise for artsy stuffs. wow, those are lovely ceramics foong... i remember my when i visited my Auntie who loves collecting antiques and ceramics... Every time im on her house, it feels like you're traveling back in old time..
it seems that they love frogs... i see a lot of frogs in their ceramics..
hahaha i guess facebook is now a modern tool and strategy for all business nowadays.. knowing that internet is just one click away from everyone computer..
Those green ceramic dinner ware are beautiful. I like looking at home decor, dining set kind of stuff. But I am not big on purchasing them. I also don't know why they love frogs! There are so many animals but they chose frogs! Haha! But their pieces are absolutely divine. I can't even afford to buy 1 cup and 1 saucer! Should I say it is the Indonesia's version of Royal Selangor? I will also not buying if I were there. Too expensive and it's not of my interest to collect those things. But window shopping and for the sake of taking nice photos, yes! Foongpc thanks so much for the prize for the Versus Tag, sorry for the reply have been quite busy lately. 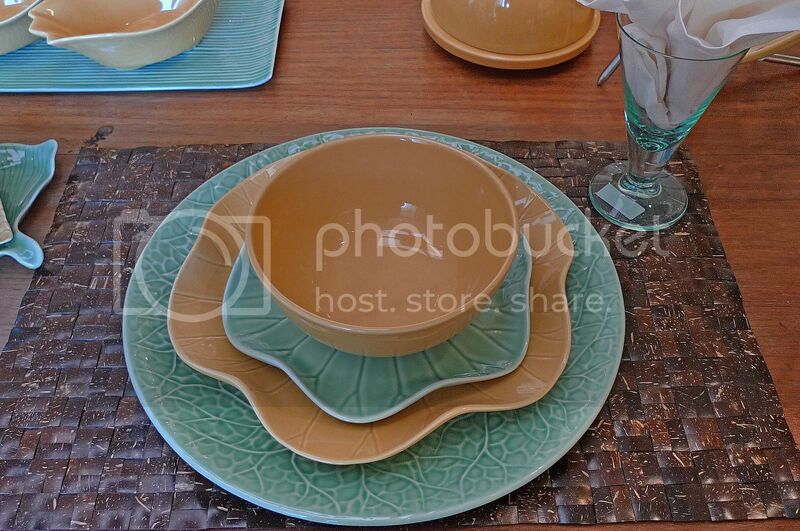 Whoa nice ceramics, love the plates. 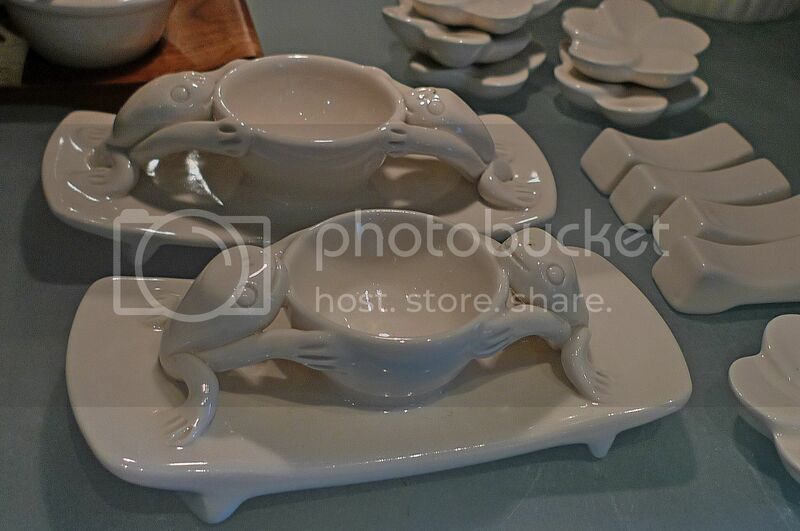 Yeah those froggie thingy are ash trays, don't tell me Lilian Too got some them inspired too with all the frogs but they are not 3 legged haha. thanks for the virtual tour. I'm looking at your pictures with envy now.. 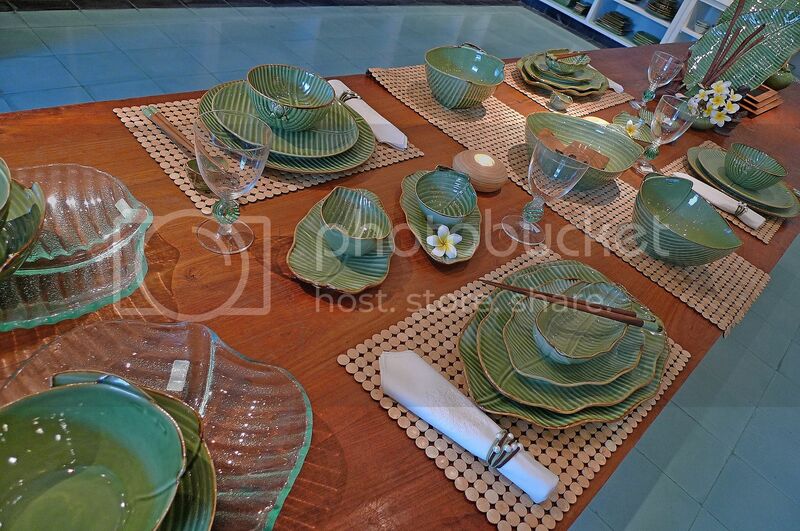 I love anything Balinese but am too afraid to go to Bali.. lol..
Beautiful ceramics! Good for you that you didn't buy them. Not advisable to bring home breakables. Been a while since my last visit here eh! Will be back soon. i didnt know this place existed and i hv been to bali many a times, looks like i must make another trip aye... and i love ketupat... they say it look nicer at night. All the things are so beautiful. If I was there I was totally confused which will I like best, to buy. Candle burners are so cute. Thanks for sharing. Have a happy weekend. it is really hard to carry home as well if you buy. Handle it with care if break it is consider sold. if you bring it home... easy to break as well. Oh my~! 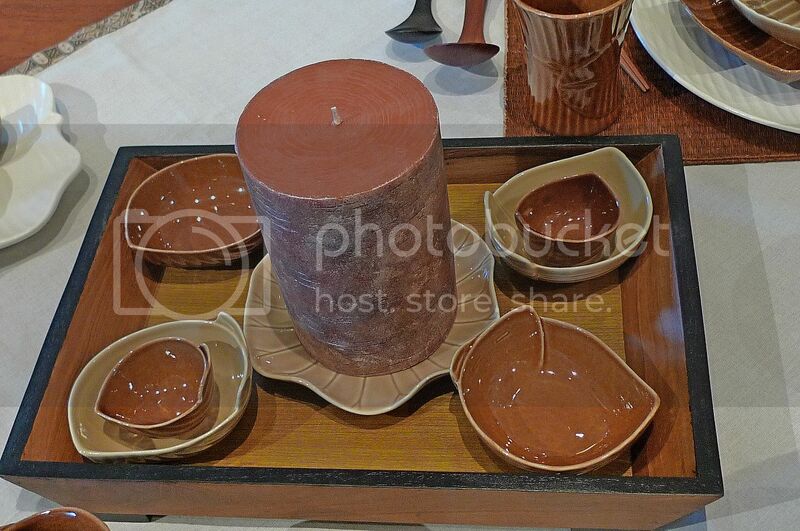 The ceramics are so beautiful... but it looks real pricey too! Dropping by to say 'hi' from Bananaz, have a pelasant week ahead! 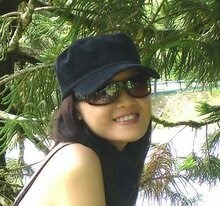 Hi Foong! 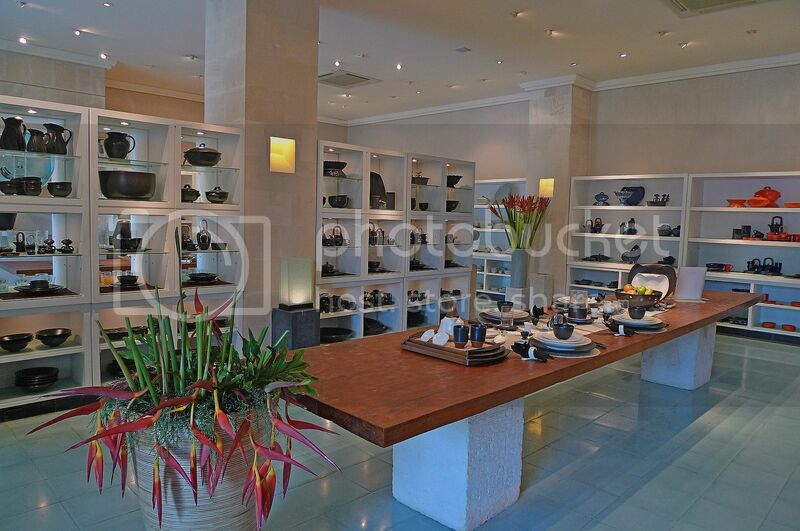 Wow, great atmosphere and the ceramics are very eye-catching. For me, I do buy things while traveling since I also do that in my line of work. In fact, I've started a Travel Collection feature on my WBE site, too. Since you'll be back, I'm sure you'll get something from there! hi foong just dropping by here! 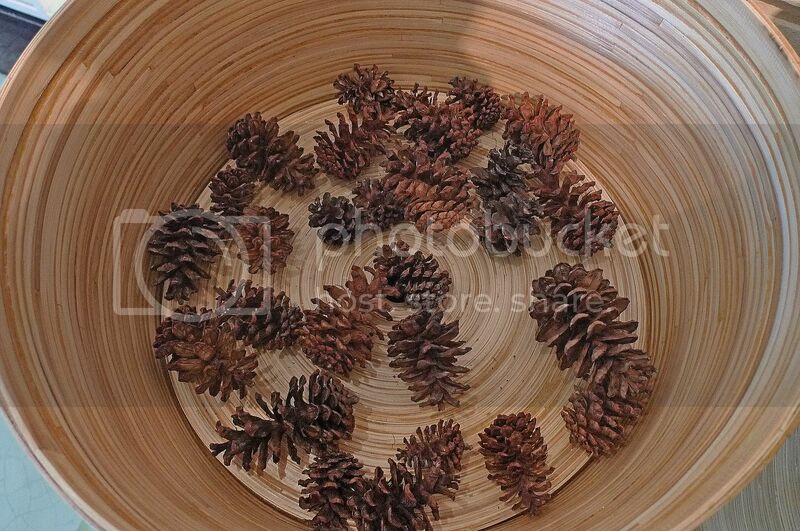 Are those pinecones in the ceramic? hehe, i get nice keychains ok?? and not everytime also keychains lah, i've got letter opener, coaster, dolls before.. just some little token to the colleageus mah.. how can you say i am cheapskate?? so sad.. you hurt me..
i'm really not someone who will get souvenirs.. but maybe only for colleagues, because it's been an unspoken rule that whoever goes for a trip overseas will bring back some souvenirs..
hmmm, how i wish i can go for a holidays now.. then maybe i can send you a postcard from there?? hehe, i think sending postcard while you're somewhere else is nice.. i even send to myself you know?? anyway, still waiting for your parcel through pos laju.. guess maybe by tomorrow i can get it?? All the craft item looks so beautiful. The plates are amazing, ceramic bags are also very beautiful .If I was there I’ll collect the the cigarette ashtrays definitely, it’s so cute. i love those plate sets!!! Hi very wonderful sharing and also very important i love all useful things looking very impressive drowning thanks fore great sharing. 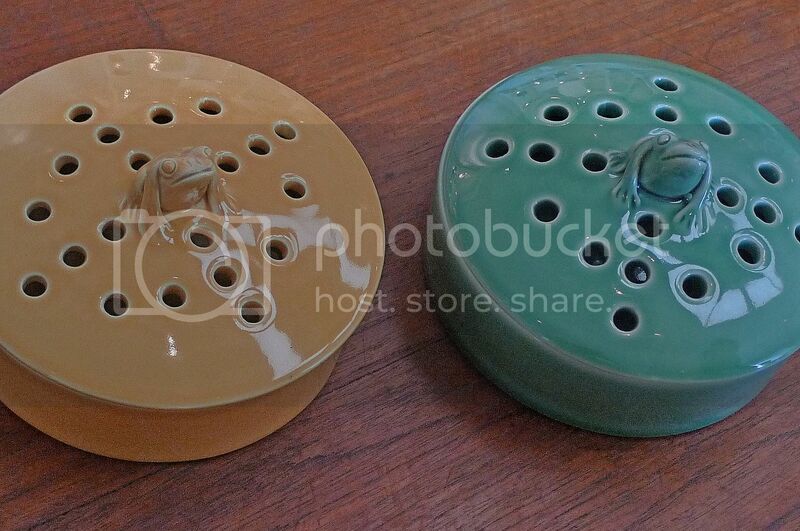 this jenggala ceramik took my 15k usd and didnt send me my order. and when I call, they seems forgot I went there. Es una cerámica muy bonita, me gusta. Un saludo desde el Mediterráneo!